Corel Painter Master, Karen Bonaker, announced the opening of registration for Holiday Open Studio at Digital Art Academy (DAA) at Karen Bonaker Art, her wonderful blog. Do go by and take a look at the information and syllabus for this 4 week course. 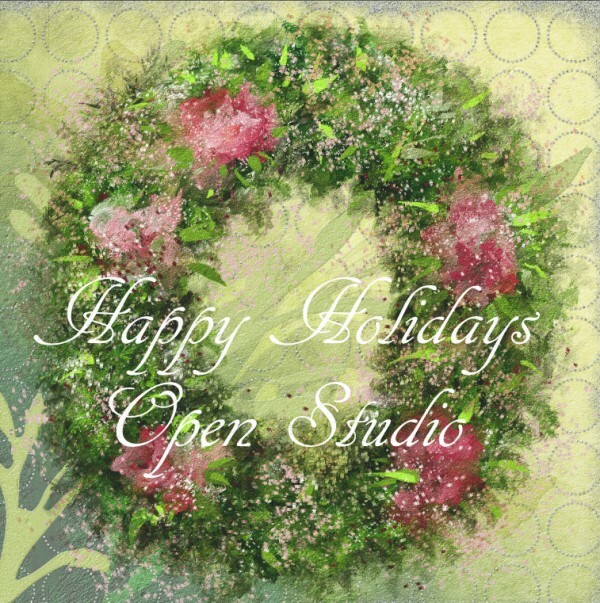 Holiday Open Studio is for anyone, beginner and expert a like. Each week there is a new leader with a special topic. Class begins 11/19/2011 and ends 12/16/2011. The first week, Karen shows how to create and paint a perfectly balanced Holiday flower arrangement. Take a look at this image, which can also be seen at her blog. I have the second week. Learning to leave white space in a watercolor is difficult. I am focusing on snow scene landscapes with lots of white space. 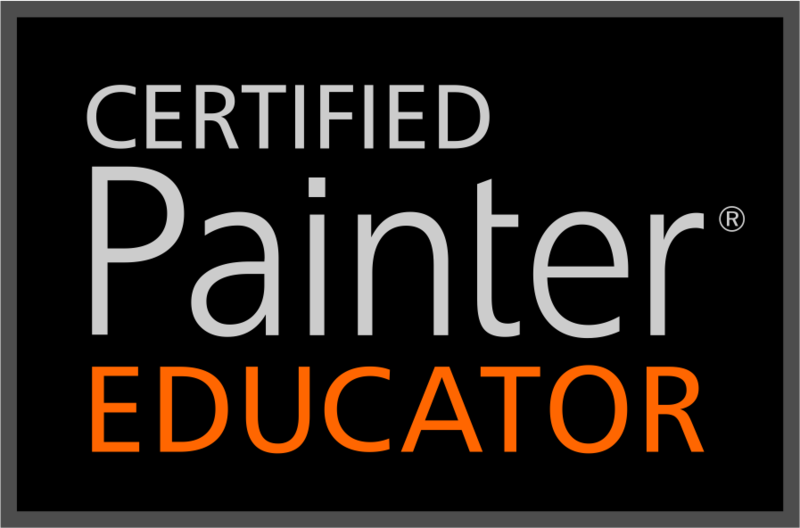 Corel Painter Educator and Expert, Elaina Moore-Kelly, has the third week. Elaina wows everyone with her beautiful Holiday Greeting Cards. 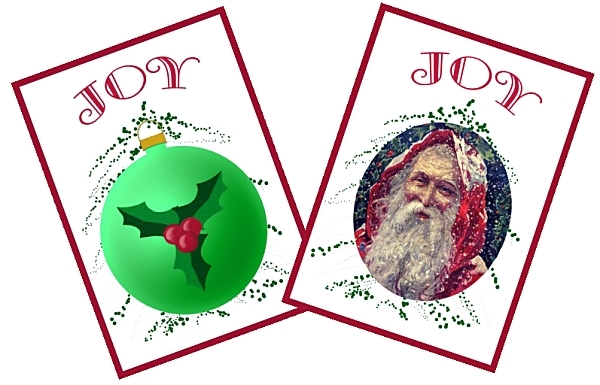 Discover her secrets for Corel Painter as she demos greeting cards. Karen returns for the fourth week. Holiday Wreaths and winter scenes are the topic. She has prepared a custom set of brushes for this workshop, which each student will receive. I think Karen’s work is stunning. What do you think? 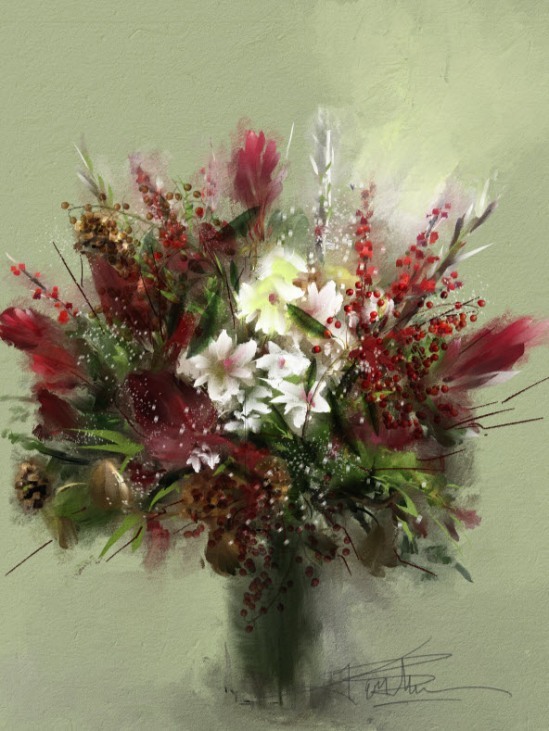 Corel Master Painter, Karen Bonaker's Holiday Wreath. That’s about it. Do go by and check out Karen Bonaker Art and view her video from Holiday Open Studio 2010; you will be glad that you did. This entry was posted in Skip Allen & Painter 12 and tagged Corel Painter 12 Class, Corel Painter 12 Tutorial Video, Corel Painter 12. 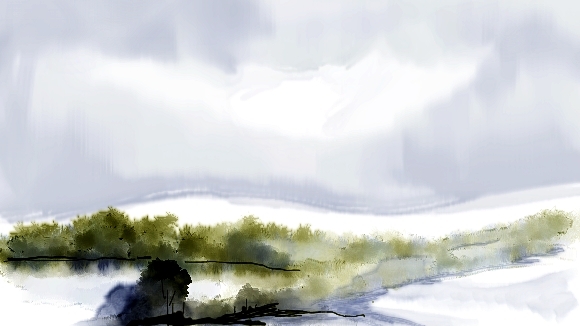 Karen Bonaker, Corle Painter 12 Watercolor, Digital Art Academy, Elaina Moore-Kelly, Skip Allen and Painter 12. Bookmark the permalink.